The GsH2/GsH5 clearomizer head coils are the replacement wicks for your H2's and H5's. Because this head coil functions with both sizes of Gs clearomizers, this makes it very versatile and easier to stock up on coils. These coil heads are priced nice and low, but when you buy 5 or more, you'll save even more. 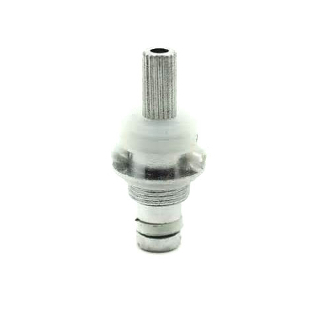 Unscrew the bottom silver part of the clearomizer. Replace the bottom silver piece and make sure it is tightly attached to the tank.